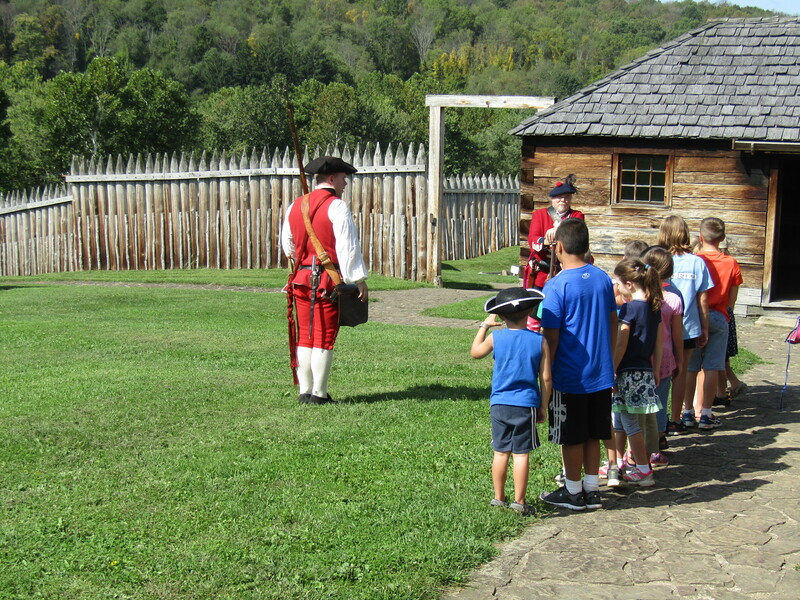 Fort Ligonier offers programs and experiences that are a welcome addition to any homeschool curriculum. From special days planned for homeschool families to everyday opportunities for enrichment, homeschoolers will always find something to enrich their educational journey. Fort Ligonier is excited to host Fall Homeschool Day on Friday, September 14, 2018! Homeschool Days are for all ages and include experiential learning activities for all. This is a great opportunity for a field trip experience, but also a time to share and network with other homeschool parents and children. We offer special pricing, programs and scheduling. You are also welcome to visit any other time of the year, but hope that you will join us for our designated Homeschool Day events this year. Registration open August 20-September 12th. See ticket pricing for early bird discount! To register you may download the form using the link below, register online via the “Register Now” button, or call 724.238.9701. Upon arrival, your family/group will receive a packet with your tickets, schedule, and map. Each family will be able to select stations based on their family’s needs and ages. There will be seven half-hour sessions and nine different activities to select from. Activities are geared for preschool through high school age students. Please read the activity descriptions below.